Schladming, city of the Styria in Austria, is a popular destination for winter sports, internationally renowned for the various competitions that take place here. In its early history, Schladming has been famous for the first union claims: it was 1408. Schladming is an attractive ski resort of Styria in Austria, with over 350 000 overnight stays per year and over 4000 beds available. The ski resort of Schladming is spread over four mountains that surround the city, Planai, Hauser Kaibling, Hochwurzen and Reiteralm, all connected by trails (over 200 km) and the ski lifts (one hundred) very modern and efficient. The main runways starting from the village are on the mountain Planai, suitable for all levels of skiers. The district of the Planai Schladming is part of the skirama Amadè Ski. The slopes of Mount Planai, in particular the three kilometers long black one that comes directly in the country, host important slalom competitions such as the World Cup, Junior World Cup, and the Special Olympics World Winter Games. But there are various ski areas around Schladming: in addition to Planai there is the area Ramsau, suitable for families, the Dachstein area, also famous for its caves. Salzburg is not more than ninety miles away. Schladming boasts a great toboggan run, well-lighted until midnight and seven kilometers long: sleds are available for rent at the departure station of the cableway Hochwurzen. 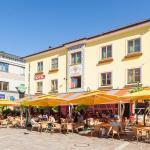 For apres-ski, Schladming offers many clubs, bars, pubs and restaurants where you can spend pleasant evenings. Schladming hotels are either in downtown and in proximity of the ski lifts: the motto of the area it is indeed "out of bed, at the track." Schladming is a tourist resort also in summer: in addition to the opportunity to enjoy magnificent walks and climbs, the townn offers many attractions such as bicycle trails, downhill slopes for toboggan, go-karting, tennis courts and outdoor swimming pools. Schladming has an ancient origin, and although it is now a modern city dedicated to tourism, it maintains the look of the alpine village with a few sites linked to its history, such as the City Museum, built in a former hospital, dedicated to the mining history of these places, the remains of the ancient city walls of 1600, two late-Romanesque churches and City Hall dating back to 1880, which is the former hunting residence of the princes of Saxony. Schladming is famous in the history of Austria because until the mid-1800, it was an important mining area, with copper, cobalt, silver and lead. In 1408 the local miners signed a document which denounced the inhuman working conditions to which they were submitted, asking for equal status and equal treatment for all European miners. Sonnschupfer Hotel is in the heart of the Dachstein-Tauern, in a sunny and quiet location, boasting outdoor pool with sun terrace and numerous sports facilities. 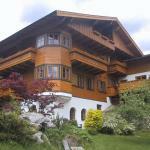 The aqi Hotel Schladming is located in Schladming, one of the major ski resorts of the Alps. Within walking distance you can reach the village centre, a swimming pool and gym. Hotel Gästehaus Talbach is an elegant 3-star family run hotel located in the heart of Schladming, just steps away from the bus stops and from the ski lifts. The JUFA Gästehaus Schladming awaits you in the pedestrian area of Schladming, right in the heart of the city, nestled in the beautiful mountains of the Alpine region of Dachstein Tauern. 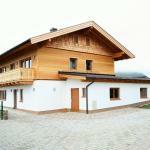 The Landgraf is a small hotel located in the main square of Schladming. It offers a bakery that will delight you with its delicious food and a restaurant offering a wide range of local dishes.